Brindavan Gardens[/caption]stify”>Arrive At Bangalore Airport/Railway station and transferred to Coorg. On arrival check in the hotel and relax for some time. Rest of the day is at leisure for your individual activities. Overnight stay at the hotel. After Breakfast proceed to half day sightseeing of Madikeri which covers Omkareshwara Temple. and Abbi Falls. After sightseeing back to the hotel. Evening is at leisure for your individual activities. Overnight stay at the hotel. After Breakfast check out the hotel and proceed to Nileshwar. Nileshwar is a small quaint village on Malabar Coast, known for Sacred Dances of Theyyam, Snake Goddess Festival. On arrival check in the hotel and relax for some time. Rest of the day is at leisure for your individual activities. Overnight stay at the hotel. After Breakfast full day is at leisure for your individual and you can also explore the Nileshwaram Palace, Bekal fort and Bekal beach. Later back to the hotel. Overnight stay at the hotel. After Breakfast check out the hotel and proceed to Wayanad. On arrival check in the hotel and relax for some time. Rest of the day is at leisure for your individual activities and you can also visit Pookot lake. After sightseeing back to the hotel. Overnight stay at the hotel. After Breakfast proceed to full day sightseeing of Edakkal Caves and Muthanga wild life sanctuary, here you can also enjoy the wild life jeep safari on direct payment basis. After safari back to the hotel. Overnight stay at the hotel. After Breakfast check out the hotel and proceed to Mysore. On arrival check in the hotel and relax for some time. Rest of the day is at leisure for your individual activities and you can also visit Brindavan garden and the Mysore Palace in evening. Later back to the hotel. Overnight stay at the hotel. 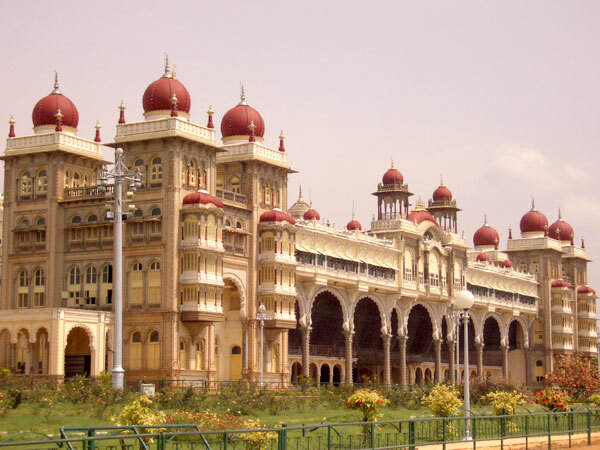 If you have not decided yet or wants to customize tour itinerary or hotels listed above in "Karnataka Southern Spice Tour Package By Thomas Cook", then we can change the travel itinerary and make a personalized, tailor-made holiday package, especially for you. We can modify this travel package as per your itinerary, budget, duration and the tourist places you would like to visit, including transportation and airfare should be included or not. Please fill the form below to contact us.